Artificial intelligence–specifically, machine learning–is a part of daily life for computer and smartphone users. From autocorrecting typos to recommending new music, machine learning algorithms can help make life easier. They can also make mistakes. In some cases, the researchers' model algorithms provided the correct answer based on a single word. Frequently, the input word or phrase appeared to have little obvious connection to the answer, revealing important insights into how some algorithms react to specific language. Because many algorithms are programmed to give an answer no matter what–even when prompted by a nonsensical input–the results could help computer scientists build more effective algorithms that can recognize their own limitations. The work reveals important insights about the rules that machine learning algorithms apply to problem solving. Many real-world issues with algorithms result when an input that makes sense to humans results in a nonsensical answer. 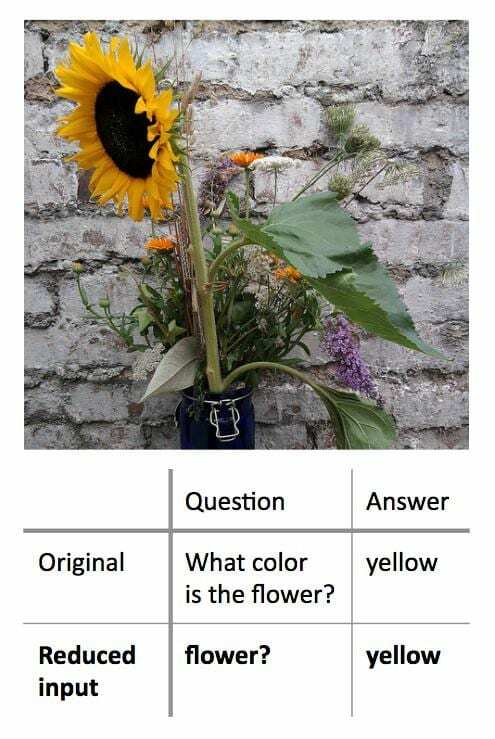 By showing that the opposite is also possible–that nonsensical inputs can also yield correct, sensible answers–Boyd-Graber and his colleagues demonstrate the need for algorithms that can recognize when they answer a nonsensical question with a high degree of confidence. Most algorithms will force themselves to provide an answer, even with insufficient or conflicting data, according to Boyd-Graber. This could be at the heart of some of the incorrect or nonsensical outputs generated by machine learning algorithms–in model algorithms used for research, as well as real-world algorithms that help us by flagging spam email or offering alternate driving directions. Understanding more about these errors could help computer scientists find solutions and build more reliable algorithms. In addition to Boyd-Graber, UMD-affiliated researchers involved with this work include undergraduate researcher Eric Wallace; graduate students Shi Feng and Pedro Rodriguez; and former graduate student Mohit Iyyer (M.S. '14, Ph.D. '17, computer science). The research presentation, "Pathologies of Neural Models Make Interpretation Difficult," Shi Feng, Eric Wallace, Alvin Grissom II, Pedro Rodriguez, Mohit Iyyer, and Jordan Boyd-Graber, will be presented at the 2018 Conference on Empirical Methods in Natural Language Processing on November 4, 2018.